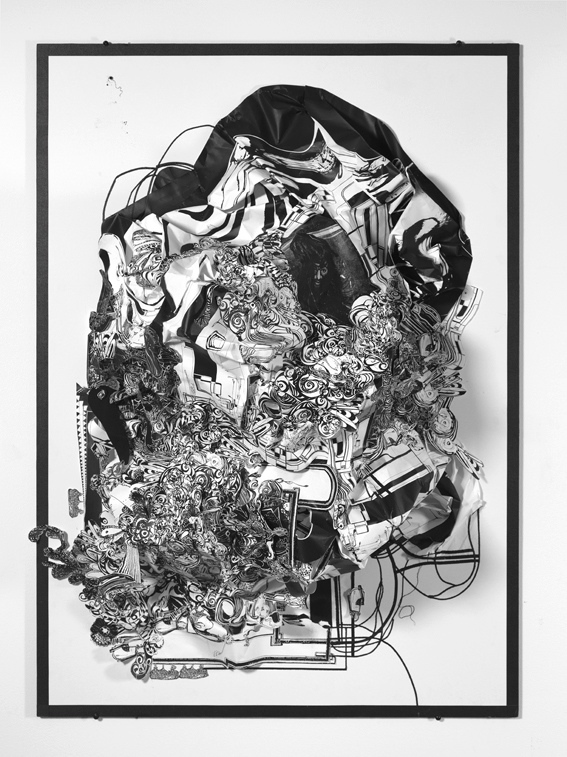 MUSEUM as RETAIL SPACE (MaRS) is pleased to present I’m in A Story, the gallery’s inaugural exhibition and Raúl de Nieves first solo show in Los Angeles. His work spans intricate figurative sculpture and painting, ornamental shoes and garments, multimedia performance and live music, with frequent references to high fashion, nightlife, Catholic symbolism, Mexican folklore, and fairy tales. and brain are not eternal, but your soul is. The message you have brought to me only makes me wiser. RAÚL DE NIEVES (b. 1983, Morelia Michuacan, Mexico) lives and works in Brooklyn, NY. 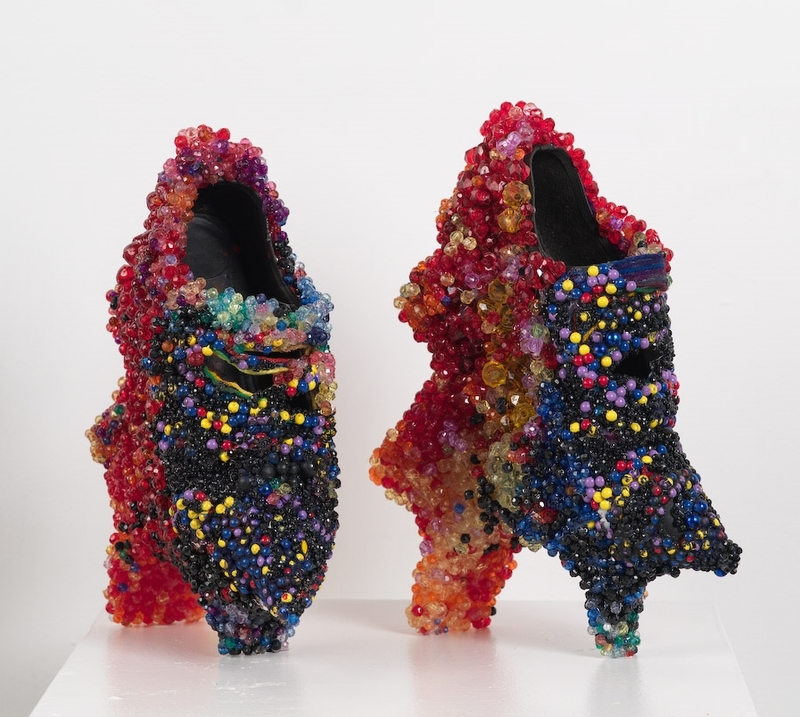 His work spans intricate figurative sculpture and painting, ornamental shoes and garments, multimedia performance and live music, with frequent references to high fashion, nightlife, Catholic symbolism, Mexican folklore, and fairy tales. 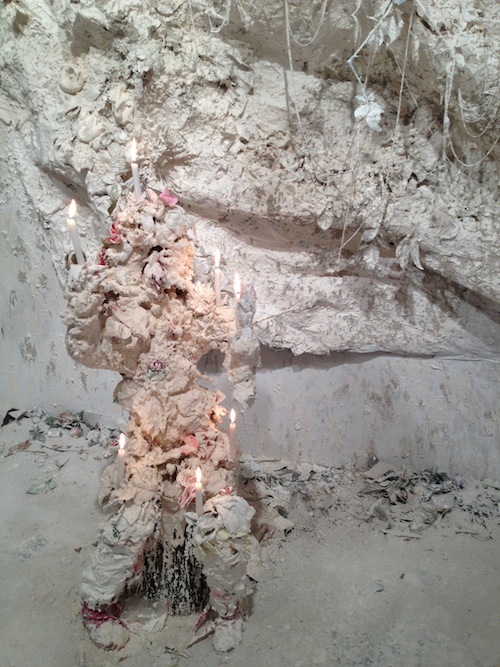 De Nieves’ performance has been featured at The Whitney Museum, MoMA PS1, MoMA San Francisco, Performa, as well as prominently in the works of Ryan Trecartin. His intricate sculptural shoes are often worn in de Nieves’ decadent performances and have recently been photographed by Mario Sorrenti and Karl Lagerfeld, worn by Lady Gaga, and earned notable press editorials in publications including V Magazine, W Magazine, and Harper’s Bazaar. De Nieves has mounted solo exhibitions at Live with Animals (2010); Newman Popiashvili Gallery, New York (2009 and 2007); Galerie Giti Nourbakhsch, Berlin (2008) among others. His recently premiered collaborative chamber opera, The Fool, will perform at The Kitchen (NYC) later this year (2015).